Lake Texoma elevation is 615.86 and water temperature is 52 degrees. 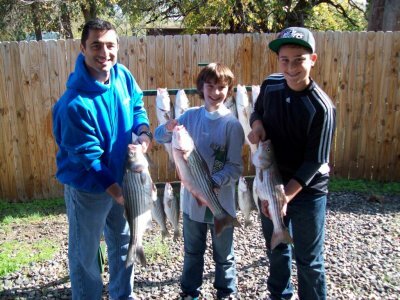 Lake Texoma winter fishing continues to produce good sized stripers and an occasional double digit fish. We have also had some pretty tough days in between. Although you have a better chance at landing a trophy striper this time of year, it’s not a daily occurrence. This past two weeks I’ve noticed as I fillet fish that the bellies aren’t packed full of bait. 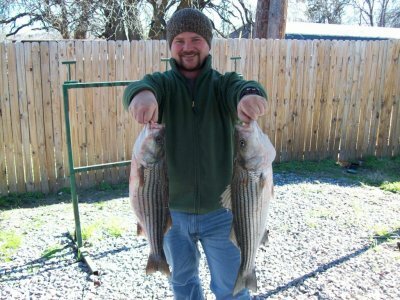 The month of January the stripers on Lake Texoma were feeding daily and had bellies full of fresh bait. Now it seems the feed is every couple days which is normal for this time of year. As far as baits I’m using the 1oz roadrunner jig, sassy shad and 5″ super flukes. All in white, glow pearl and chartreuse colors. Most of the water I’m fishing is the deep water structure humps ditches, main and secondary points and mouths of creeks from 35-60 feet of water. This time of year, you’ll have to cover some water to find the stripers and may strike out a few times, but when you do find them you should be able to work them over. 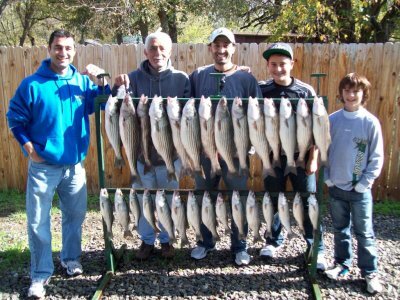 Bundle up and try some Lake Texoma winter fishing and make sure to measure the stripers you catch, the majority of fish will be 20″ or better. Be sure you don’t forget to renew you Lake Texoma fishing permit.